Turn tough meat into fine soft cuts. Will tenderize cuts up to 1" thickness and 8" in width. Solid stainless steel construction. 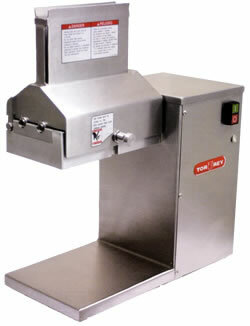 43 hardened stainless steel knives and dependable steel gear transmission allow years of continuous operation. 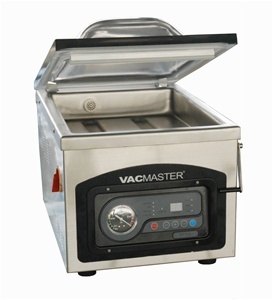 The tenderizing unit is easily removable for cleaning and its design avoids waste and accumulation in the working area. Thermo magnetic protector in case of overloads. Safety micro switch that automatically disconnects the motor if the cover is opened during operation to prevent accidents.